Soundslides is a nifty tool that allows journalists, media professionals or even students to create smooth multimedia presentations. The program only takes two seconds two install and is well streamlined. After loading up your images and MP3 files you'll be taken to the timeline view. This is where you can move, stretch or reduce your slides and add additional information and titles. Soundslides also lets you set a number of transitions, shells, screen displays and even subtitles. 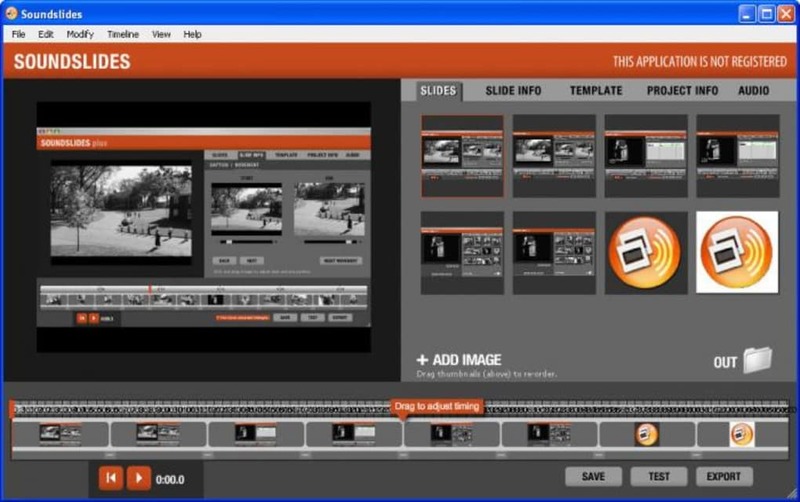 Soundslides has the essential tools to quickly create good looking multimedia presentations. It's a shame that it only uploads JPEGs and MP3s and we were also a bit annoyed that you couldn't zoom in and out of the timeline. Overall though, this is an extremely handy tool, that makes smooth flowing slideshows. 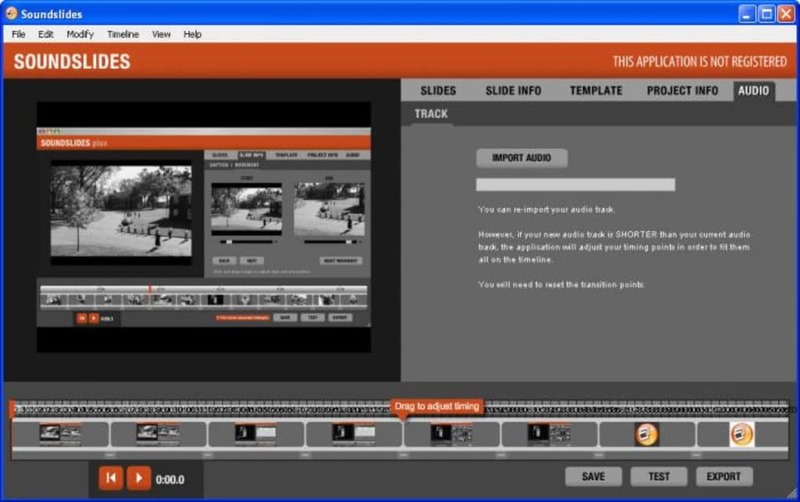 Soundslides is a rapid production tool for still image and audio web presentations. It is made for journalists, but you may find other uses. 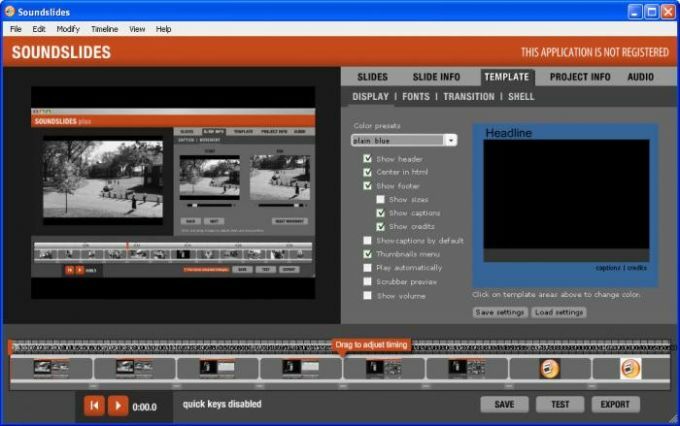 Soundslides creates a very simple audio slide show, which consists of Macromedia Flash files (swf), and the html needed to display the Flash files. Soundslides will export a folder that you can upload to your server without any additional work. The application can import JPGs as the images, and MP3s as the audio file. What do you think about Soundslides? Do you recommend it? Why?